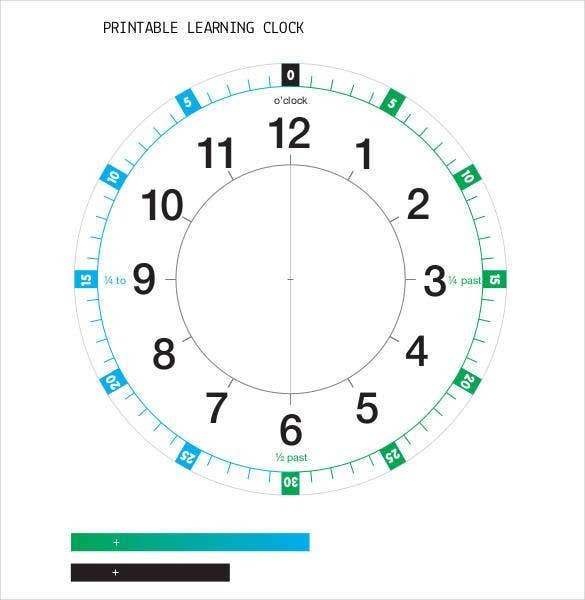 A clock face template usually comes in handy for teachers who are in the process of teaching the reading and marking of time to their students. 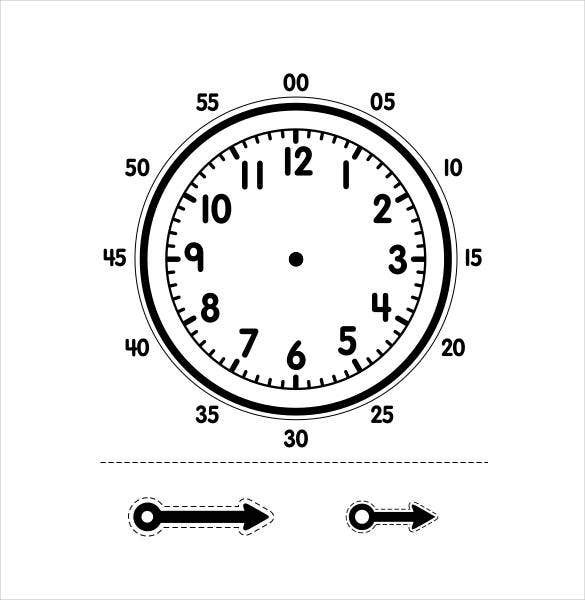 Here is how an Analog Clock can be designed using Microsoft Word. Select the Insert tab and then choose the option Shapes. You will be presented with a drop down menu. Here choose the circular shape. Your cursor will convert into a plus sign. 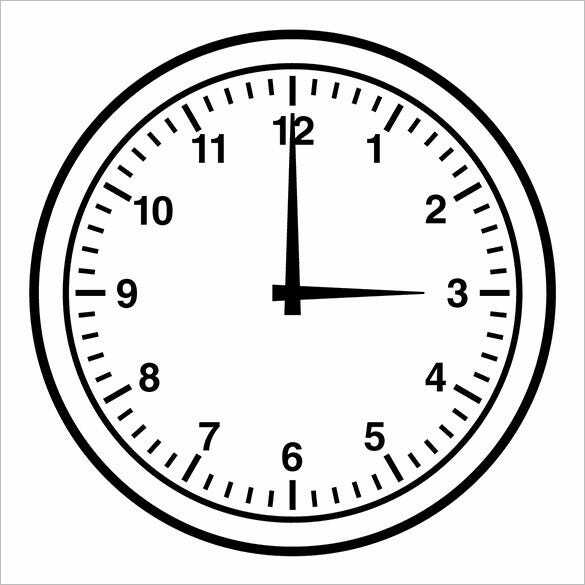 Place this on the document and drag it to create the outer border of the clock. You can also choose a square shape if you please. Next in Insert -> Shapes, select arrows, straight line or a small circle to put in the markings for the numbers. Move the cursor inside the circle by pressing Tab and bring it to the markings. Here, type 1, 2 3 ….12. 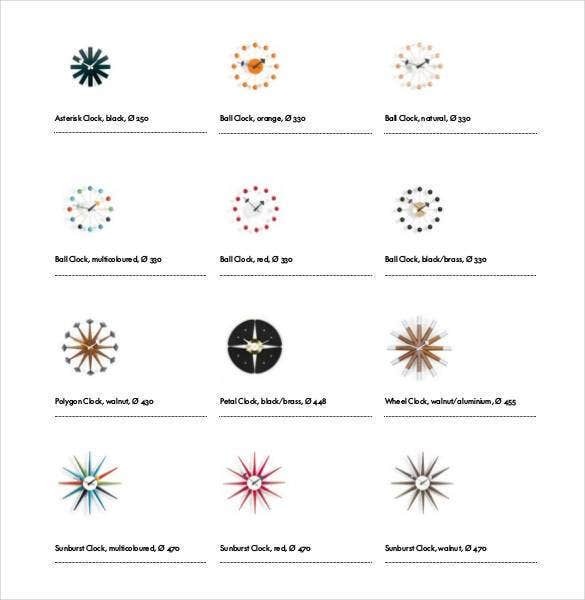 Your watch pattern is ready. 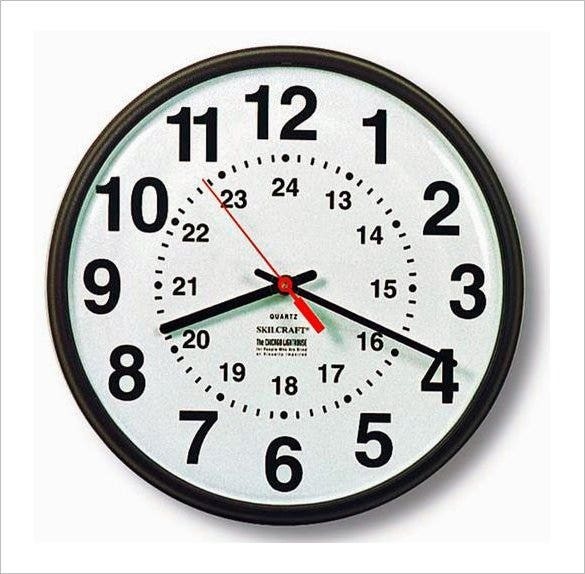 Here is a clock template which you can use in your home, insert in inside any round-faced wall-clock and you’re good! Of course the template is replete with the basic format, however, users will have to insert time data on their own. 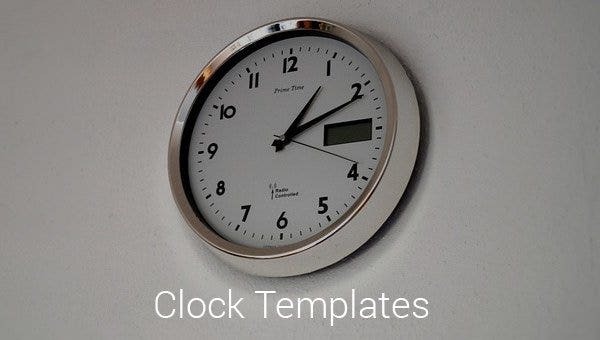 This template can also be used in office wall-clocks! 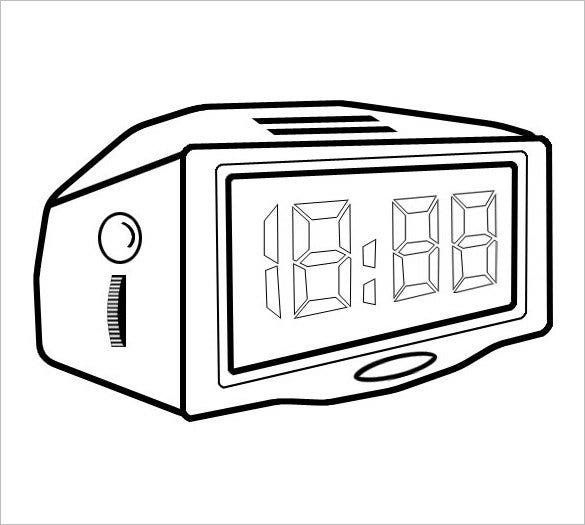 You are getting a detailed paper clock template here. 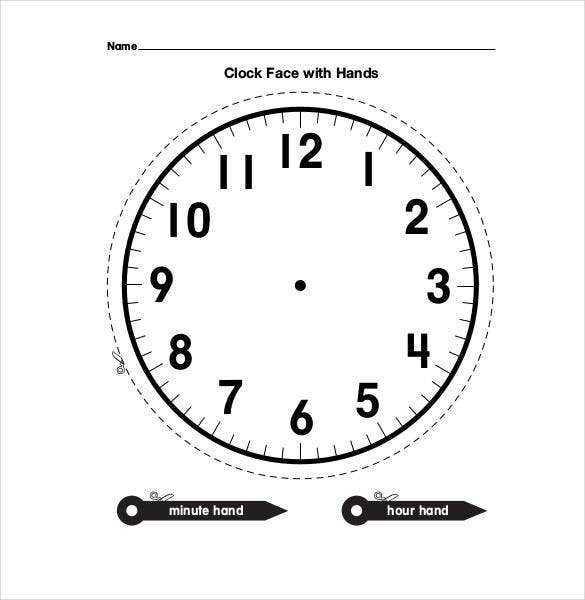 One has to input the hour and minute hands on the clock as per requested time and there are even individual spaces below for the time data in figures. 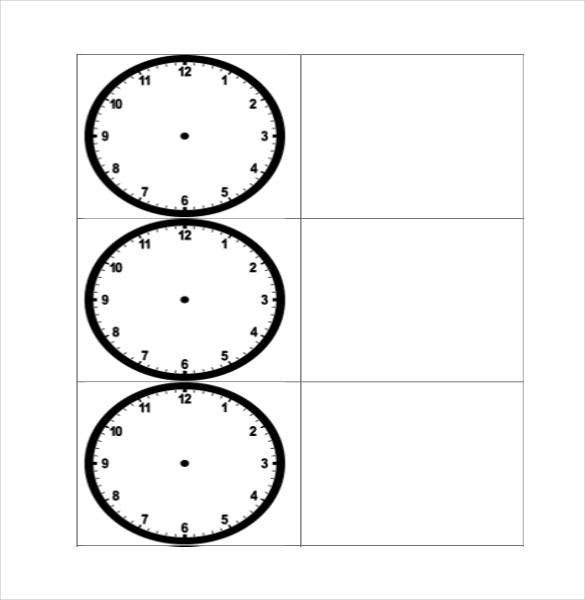 This template here is a practice sheet for the students who have just learnt to calculate time. 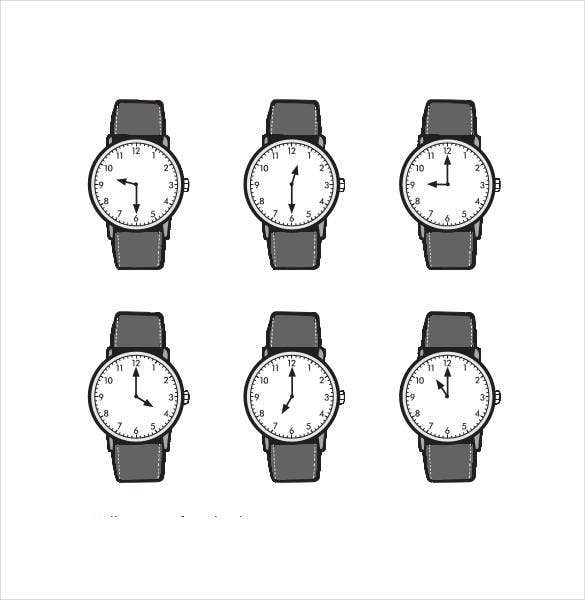 You are getting 9 readymade clocks here to be filled up with hour, minute and second hands. You are getting a full digital clock here in Word document which arrives with a pre-structured time. You can customize the time written here easily with your own desired time. 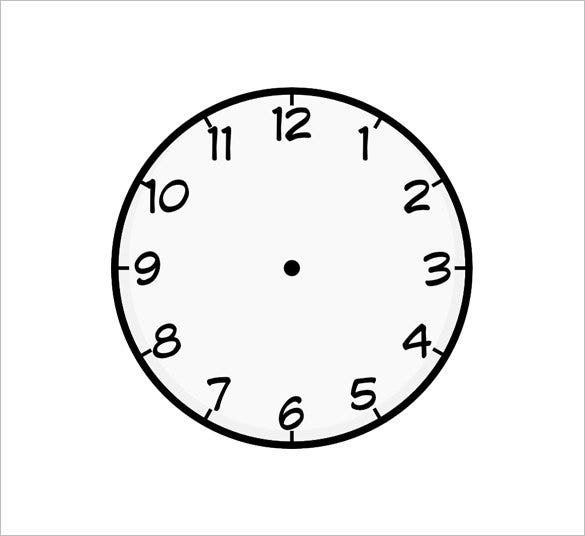 In case you are not sure how to design a clock shape, go ahead and use this example analog clock for the purpose. With all the essential markings in place, you just need to download it and personalize it with details like worksheet number, term etc. 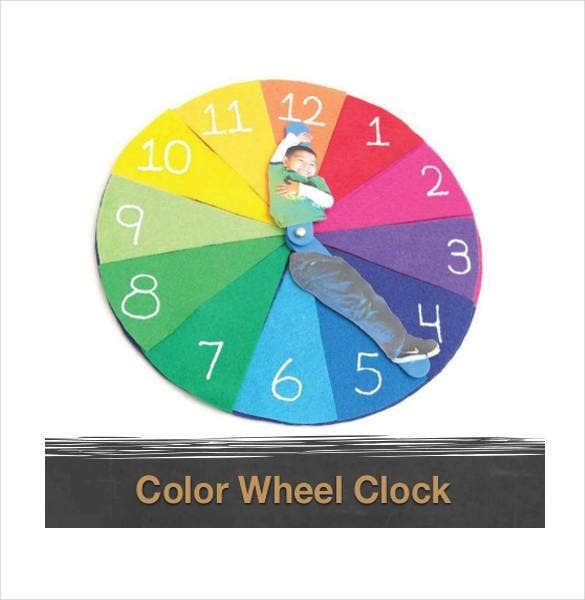 As the name indicates, this clock template is a perfect pick for teachers who are teaching the children the fundamentals of time. 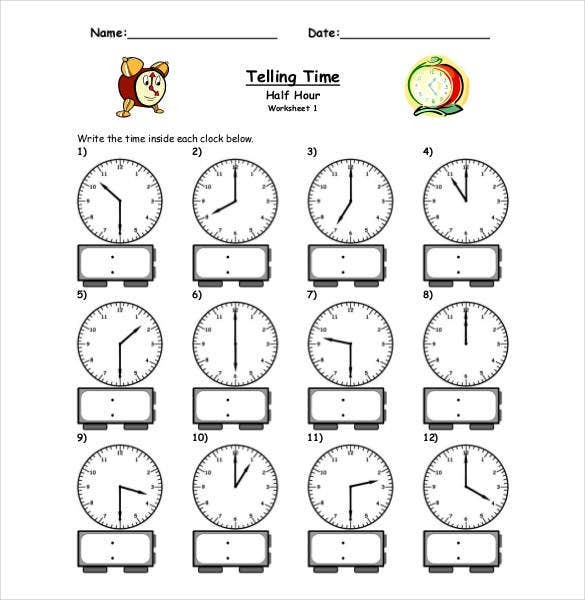 With an attractive clock face and essential markings, the students will find the worksheet interesting as well as easy to complete. 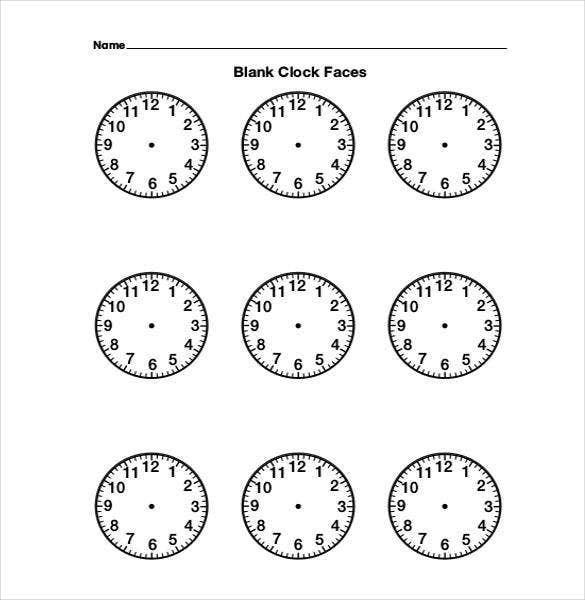 If you want to distribute worksheets among your students to help them learn the concept of clock markings, you can use the aforesaid template for the purpose. 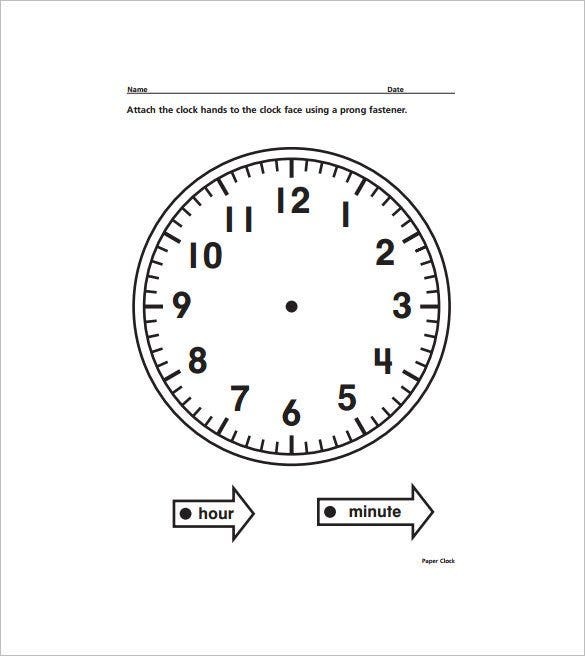 With square clock icons in place, your students just need to draw large clock arrows to mark the time. 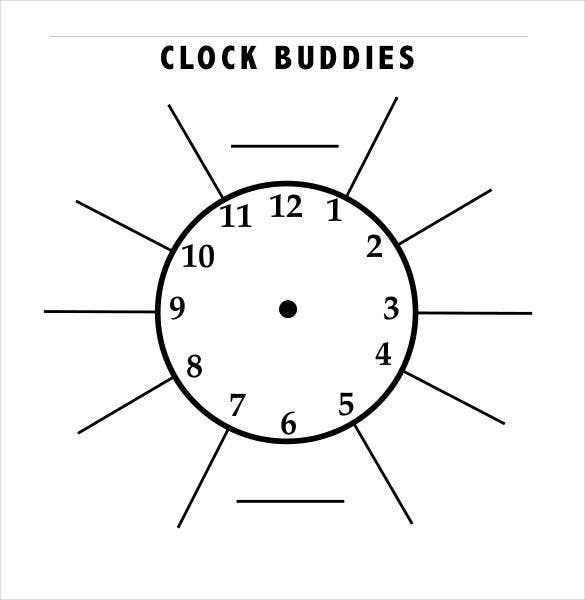 The picture of the clock looks rather attractive, thus prompting the students to complete the assignment with interest. 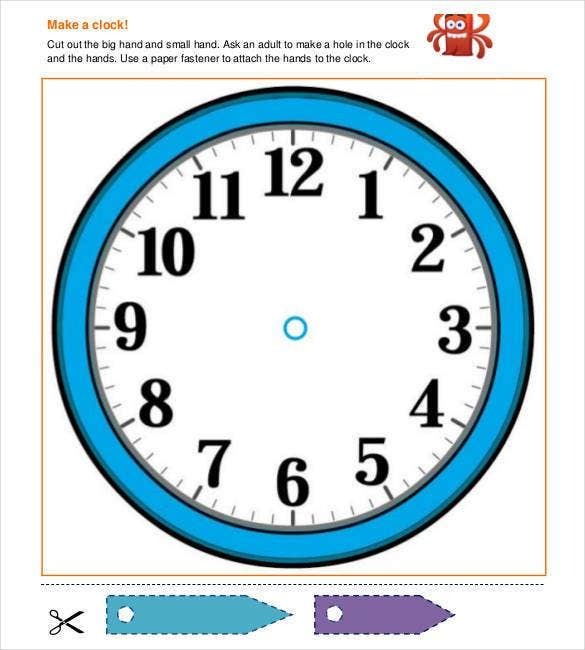 This clock template is printable as well as editable making it easier for the teachers to make changes to the worksheet according to their preference. The updates can be made using moveable stencils that are available online and then the template can be printed to be distributed among students.